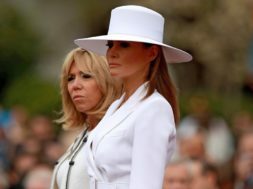 How else to interpret her decision to wear a statement-making, broad-brimmed severe white hat Tuesday morning to greet the French President Emmanuel Macron and his wife, Brigitte, as they arrived at the White House on the second day of their state visit? 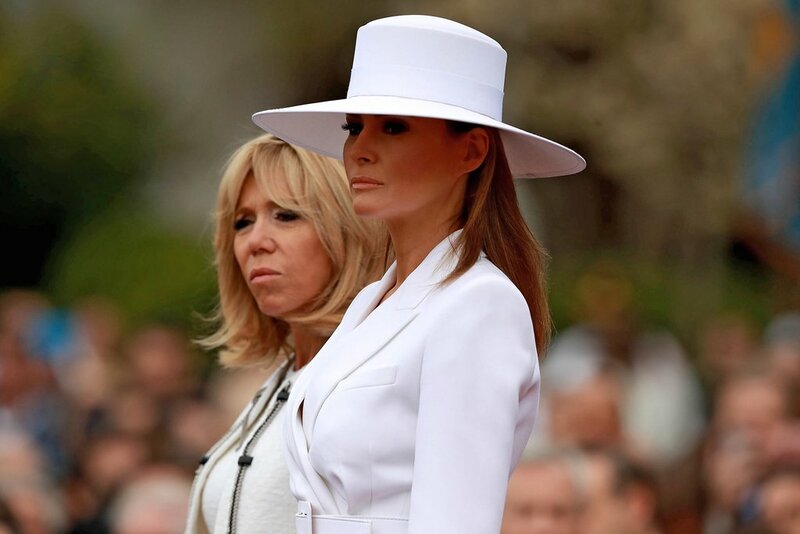 It turns out that the hat she wore on Tuesday was specially made, commissioned by Mrs. Trump’s sometime stylist Herve Pierre to match the white Michael Kors skirt suit she was wearing. Which was not, in case anyone was wondering, the same Michael Kors white skirt suit she wore in Israel during her first foreign trip with her husband, though it was similar. The scrutiny and symbolism that would be attached to every part of the first state visit of the Trump administration cannot have escaped either the Macron camp or the Trump camp. Mrs. Macron seemingly tackled the issue by sticking with a wardrobe — the bright pink coat worn to deplane, the yellow coat she wore to Mount Vernon, and the white dress and jacket she wore on Tuesday — created by what has become her go-to fashion brand, Louis Vuitton, thus promoting a French name and lessening the amount that could be said about her choices. Mrs. Trump, however, has already worn a panoply of names both French and American. The day before the Michael Kors suit, for example, she wore a black cape by Givenchy, heels by Christian Louboutin and a black clutch by Dior, all French brands, mixed up with a broad belt from Ralph Lauren, the ur-American name that also made her Jackie Kennedy-esque inauguration suit. next Kanye West 4 Prez in 2024?